Any watch can do the simplest duty of keeping the time, fine watches offer those willing to invest in them more than a lifetime of satisfaction. When staring longingly at a luxury watch in a display counter, many gentlemen find themselves torn between the financial cost of the timepiece and the potential benefits of owning it. But what, exactly, are those benefits, and why do so many men make the plunge and invest their hard-earned money in a brand name watch? Beyond aesthetics, there is a one very basic thing that every watch must do well: keep the time. While low-priced watches are typically mass-produced by unskilled laborers (often in poorer countries where “quality control” is virtually unheard of), skilled artisans are usually behind the crafting of luxury timepieces. 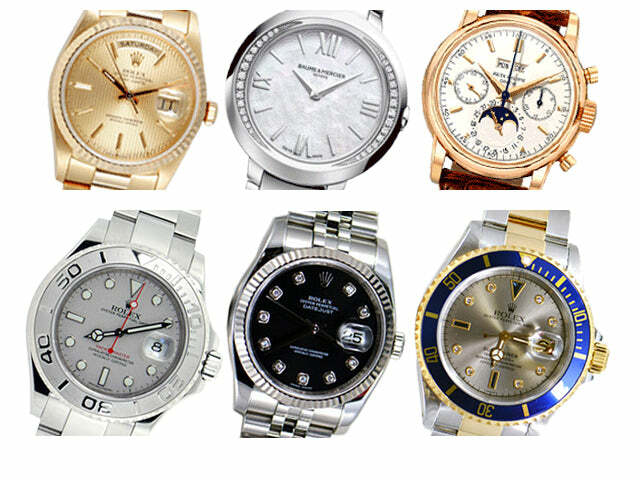 Famous watchmaking companies like Audemars Piguet and Patek Philippe employ master horologists to put together their signature timepieces in state-of-the-art Swiss facilities, where standards of craftsmanship are kept remarkably high; for instance, Patek Philippe’s timepieces are so intricate that they typically take between 10 months (for basic models) and 2 years (for extremely complex models) to be manufactured. This top-tier level of quality, in craftsmanship as well as materiel, ensures that luxury watches are able to reliably keep the time – often for decades or more – with only minor tune-ups being necessary every five years or so. Just as a beautiful woman is more likely to draw your gaze than an unattractive one, a well-dressed gentleman is more likely to attract attention. And just as a prestigious brand is held in high esteem on the market, in the social sphere, luxury timepieces are widely respected and easily recognized by people who appreciate details and luxury. Particularly when paired with other tasteful clothing choices – such as business suits, tuxedos, or semi-formal wear for casual events – luxury timepieces are accessories that identify their wearers as successful men. Particularly discerning eyes are often drawn to accessories and, as quality attracts quality, luxury timepieces are a sure signal to cultivated women that the wearer of such a piece understands and appreciates a refined quality of life. While flashy cars and over-priced champagne might scream a recent payday, luxury timepieces have come to epitomize wealth with an understated confidence that has nothing to prove. As is already apparent, a luxury timepiece is a socially effective and intrinsically valuable investment. But for men with even greater concerns in life than peers and money, a quality timepiece can be a meaningful heirloom that lasts for generations. Why Buy A Luxury Watch? In Conclusion Ultimately, although any watch can, for a period of time, do the simplest duty of keeping the time, luxury timepieces offer those willing to invest in them more than a lifetime of satisfaction. The skilled craftsmanship that is behind these pieces and the inherent value of the precious metals that go into them ensure incomparable durability, precision and retained value. The wearers of luxury timepieces are the men who may quietly sport possessions that are synonymous with refined wealth, yet whose success remains tastefully understated thanks to a true sense of class.